Mumbai: Exactly a year after the launch of currency futures, Indian markets are ready to trade yet another critical derivative product, interest rate futures, which could act both as a barometer and a hedge against change in interest rates. The National Stock Exchange (NSE) will launch interest rate futures trading on 31 August. From 9am on that day, investors can bet on the future movement of interest rates by buying or selling interest rate futures contracts worth Rs2 lakh each. The capital market regulator Securities and Exchange Board of India, or Sebi, has fixed a risk margin of 2.33% for the first trading day and 1.61% for subsequent days. This means that initially the margin, or the collateral that the holder of a position in futures contracts has to deposit to cover the credit risk of his counterparty for each trade, will be less than Rs5,000. 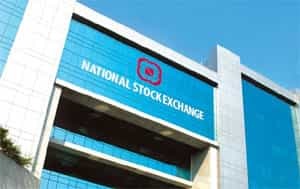 NSE will not impose any transaction charge till 31 December. The minimum maturity of interest rate futures contract will be three months and maximum 12 months. To begin with, NSE is launching two contracts that would mature in December 2009 and March 2010, respectively. The Bombay Stock Exchange, that got the Sebi nod on Wednesday, will launch interest rate futures in the next 8-10 weeks. Yet another exchange, MCX Stock Exchange (MCX-SX), is yet to get the regulatory approval. Currency futures, launched last August, has now an average turnover of around Rs9,000 crore a day with NSE and MCX-SX splitting the volumes. Globally, the interest rate derivatives volume stood at $1400 trillion (Rs68,320 trillion) during 2008, accounting for about 20% of the total exchange traded derivatives volume. Investors will need to open demat accounts by signing up with brokers to trade interest rate futures. Both equity market brokers and currency derivatives market brokers are eligible to offer these services to their clients. Foreign institutional investors, the main driver of Indian equity market, as well as non-resident Indians will be allowed to trade in interest rate futures. They were not allowed to invest in currency futures so far. The others remain the same for both these products—banks, mutual funds, firms and individuals. This is also the first exchange-traded derivatives product to be settled by physical delivery of the underlying instrument, which are government bonds. All other exchange traded derivatives are settled in cash. “An exchange-traded market will offer greater flexibility and efficient price discovery for the participants," said U. Venkatraman, executive director, MCX-SX. According to him, increased volatility in interest rates has exposed individuals and institutions to significant risk of erosion of value. “Typically, OTC (over the counter) bond derivatives market cannot provide continuous liquidity in any benchmark interest rate instrument. Also, the large lot size of contracts in OTC acts as an entry barrier for small and medium enterprises," Venkatraman added. The underlying instrument for interest rate futures will be a 10-year government bond bearing a notional interest rate of 7%. Banks, mutual funds, insurance firms and other financial institutions, which have large investments in government securities, and want to hedge potential losses from interest rate movements, are expected to widely use interest rate futures. To be sure, this is not the first time that these institutions will have an opportunity to hedge against volatile interest rates. In 2003, the banking regulator allowed trade interest rate futures but it did not take off due to various reasons. NSE had introduced interest rate futures contracts based on a zero coupon yield curve (ZCYC)—a design market participants weren’t comfortable with. According to an NSE official, yet another reason behind the the failure was that banks were not allowed to invest in these instruments even though they could hedge their exposure to government bonds. These issues have been addressed by a Sebi-Reserve Bank of India (RBI) panel that drafted the norms for trading in interest rate futures. The ZCYC has been replaced by a 7% notional coupon bearing government bond yield curve. Also, the banks are being allowed to trade and hedge along with other classes of investors. Another key provision in the new guidelines is the mode of delivery. Since it is a physically delivered contract, the seller has the obligation to deliver the underlying bond when the contract expires every quarter. The norms laid down by the Sebi-RBI say that only those bonds that have maturity between 7.5 years and 15 years will be used as underlying assets. Currently, 19 government bonds fit into this criterion. According to a few bond dealers, the delivery could be a challenge. “Delivery of bonds could be an issue as there are too many bonds and all bonds are not equally liquid. But since the valuations of the underlying government bonds are normally very high, the problem of illiquidity will be taken care of," said Ashish Parthasarathy, deputy treasurer, HDFC Bank Ltd. Some traders said the buyers can be forced to take delivery of some instruments, where liquidity is very low. Another concern is the wide range of maturity of bonds. At some places, such as Chicago Board of Trade, the derivative trading segment of Chicago Mercantile Exchange, maturity range for deliverable bonds on similar contracts is narrower—between 7 and 10 years. “The committee has stipulated this range to provide a broad range of deliverable securities. Though there could be issues of fragmented liquidity on some bonds, a wide range would diminish the scope of participants to manipulate," said Hemant Mishr, head of global markets, Standard Chartered Bank. Though the product is meant for helping all sorts of investors to hedge against risks of fluctuating interest rates, according to dealers, initially banks and primary dealers could be the only participants in these instruments, given the complexity and design of the product. Primary dealers buy and sell government bonds. “This product is not meant for retail participants," said Mishr. Almost every dealer agreed that this product would fare much better than the one introduced in 2003, as the main concern regarding the product design has been addressed and the earlier restrictions on banks’ participation have been removed. Indeed, this will provide a huge opportunity to banks for hedging against the risks of fluctuating interest rates on bond investments, but the product may not pick up momentum immediately. “It will help banks, but volumes will come only when the product becomes popular. Also, the product has to be extended to other categories of futures such as Libor (London inter-bank offered rates) and Eurodollar contracts, that will help corporates to hedge against interest rate volatility on their loan portfolio," said R.V.S. Sridhar, senior vice president-treasury, Axis Bank Ltd. Currently, Indian firms use interest rate swaps—an OTC product—to hedge interest rate risks on foreign currency loans.